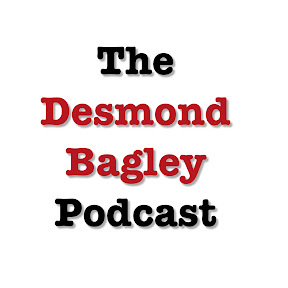 As a craftsmanlike novelist, Desmond Bagley has left us with a legacy of taut adventure thrillers crafted through meticulous research and famous for their highly technical content. What is perhaps less well known was Bagley’s interest in science fiction, and the fact that he wrote a number of science fiction stories. The Desmond Bagley collection held at The Howard Gotlieb Archival Research Center in Boston, USA, lists several science fiction stories archived in their collection. When Bagley arrived in Durban, South Africa, in 1951 he worked for the South African Broadcasting Corporation, writing radio programmes on scientific subjects and later worked as a freelance journalist writing on technical and scientific matters. He was Editor of the in-house magazine for Masonite in 1953 and between 1958 and 1962 he served as film critic for the Rand Daily Mail in Johannesburg and contributed to the Johannesburg Star, among other newspapers. On 2nd September 1960, whilst in Johannesburg, Bagley married Joan Magaret Brown, and during the first two years of their marriage he worked as scenario writer for Filmlets, a Johannesburg subsidiary of 20th Century Fox. It was during this time that he experimented with the short story form  and with an interest in science and technology a science fiction story was perhaps inevitable. Welcome, comrade is a rare novelette written under the pseudonym ‘Simon Bagley’ and published in the April 1964 issue of the American magazine The Magazine of Fantasy and Science Fiction. Bagley is in good literary company as this edition also includes work by: Isaac Asimov; Alan E. Nourse; Ron Goulart; B. Traven; James Ransom; Gahan Wilson; J.P. Sellers; Theodore L. Thomas; Sonya Dorman; R.S. Underwood; Terry Carr; Avram Davidson; and Henry Shultz. The introduction to the novelette gives an insight into Bagley’s interest for science fiction, which appears to be substantial. Bagley’s first novel The Golden Keel was published in 1963, and the introduction to this novelette suggests this story was written pre The Golden Keel and certainly submitted to the magazine whilst Bagley was still resident in Johannesburg whilst working as a freelance journalist (following the success of his first novel Bagley returned to England in 1964). That was true. Like all newsmen I had a secret hankering to write a novel. I was convinced I could write better than Hemingway if I really tried. I also knew that newspaper work ruins a man for serious writing and my only hope of getting down to a novel was to give up my job. Of note is that a name similar to the protagonist’s, Jimmy Murphy, is mentioned in passing in The Golden Keel as the owner of a 15 ton sailing yacht called ‘Estralita’. Welcome, comrade is a fascinating read, written in first person narrative it tells the story of Johnny Murphy, who in 1962 is recruited by an old college buddy, Jack Lindstrom, into a research group named ‘Project American’, ’the biggest project in modern anthropology’. Lindstrom tells Murphy that this long term project will use anthropological techniques to take the modern American apart and see what makes him tick. I make this point to prove that Project American really was secret. Compared to Project American the Manhattan Project was the voice of America, which is not a bad comparison because both were infiltrated by about the same number of Communist agents. You’ll realise the degree of secrecy when I tell you that even the Pentagon didn’t know about Project American. Some bright boy had reasoned correctly that where there are uniforms there are spies, so the uniforms were kept out and didn’t even know that Project American existed. Having passed what appears to be a vetting interview Murphy is told he has been promoted to one of the project elite, and that the real purpose of the project, unknown to both Congress and the Senate, is the biggest secret since the Manhattan Project. With his photograph, fingerprints and a blood sample taken Murphy is issued with an identification badge and now appears to be working for Carson Electronics as a Junior Personnel Officer. Lindstrom takes Murphy by civil plane to the headquarters of Carson Electronics, set in a remote location, where Murphy discovers he now works for the secret half of Project American…. My synopsis ends here in order not to spoil the enjoyment for first time readers of this rare Bagley novelette. Though with hindsight the title may act as a bit of a plot spoiler itself, which is perhaps why in a later French reprint the story is retitled Tous Américains!. There are touches of the Bagley style evident throughout this story, which is resplendent with the usual humour, attention to detail and willingness to both inform and educate the reader. Written at the height of the Cold War this story was perhaps intended as a satire, a technique and topic which Bagley revisits later in his writing career with Running Blind. With so many pivotal events occurring between Western Bloc and Eastern Bloc countries throughout 1960 to 1962 it perhaps places the comment in the introduction ‘N.B. This is not a Bomb story’ into context. This story has been included in a number of other science fiction publications: Die Kristallwelt (German compilation of The best stories from The Magazine of Fantasy and Science Fiction No. 9 under the title ‘Retter der Menschheit’) 1964; Häpna (Swedish Science Fiction magazine under the title ‘Välkommen, kamrat’) 1965; Fiction No. 136 (French Science Fiction magazine under the title ‘Tous Américains !’) 1965; Ciencia Ficción Selección 7 (Spanish Science Fiction anthology under the title ‘Bienvenido, camarada’) 1973; American Government Through Science Fiction (American Science Fiction anthology) 1974; and Histoires de guerres futures (French Science Fiction anthology under the title ‘Bienvenue, camarade !’) 1985. Welcome, comrade is a rare find and there is enjoyment to be gained from reading one of Bagley’s earlier and lesser known works. In the fullness of time perhaps other Science Fiction stories by Bagley will surface from either publishers, archives or hidden away in magazines such as this under a pseudonym. Enquiries with the publisher of The Magazine of Fantasy and Science Fiction reveal that the process of digitising previous editions is ongoing, though with such a large back catalogue it may be some time before this particular edition becomes available through their website. Consultations are ongoing with a number of interested parties to confirm copyright ownership and in the near future I hope to be able to link to a copy of the novelette. Meanwhile if you wish to read this rare, early Desmond Bagley science fiction story you’ll have to search the secondary market for a copy of one of the publications shown above. Edition Image courtesy & © Spoilgate Inc. (previously Mercury Press Inc.) / Fantasy & Science Fiction. Referenced quotes and article by permission of the author’s agent. 1. MacDonald, G. (1989). ‘Dictionary of Literary Biography – British Mystery and Thriller Writers Since 1940 – Desmond Bagley’ (DLB Volume 87) p.18. 2. The Magazine of Fantasy and Science Fiction (1964). ‘Welcome, Comrade’ Bagley, S. (Volume 26, No. 4, Whole No. 155 April 1964), pp. 38-55. This article was originally posted on bagleysrunningblind.info on 29th July 2016 and migrated to thebagleybrief.com on 5th September 2016.